Star Wars: The Rise of Skywalker (also known as Star Wars: Episode IX – The Rise of Skywalker) is an upcoming American epic space-opera film produced, co-written and directed by J. J. Abrams. It will be the third installment of the Star Wars sequel trilogy, following The Force Awakens (2015) and The Last Jedi (2017), and the ninth and final episode of the main Star Wars film franchise. The film was produced by Lucasfilm, Abrams's production company Bad Robot Productions and is scheduled to be distributed by Walt Disney Studios Motion Pictures. The film's ensemble cast includes Daisy Ridley, Adam Driver, John Boyega, Oscar Isaac, Lupita Nyong'o, Domhnall Gleeson, Kelly Marie Tran, Joonas Suotamo, Billie Lourd, Naomi Ackie, Richard E. Grant, Keri Russell, Mark Hamill, Anthony Daniels, Carrie Fisher, Billy Dee Williams and Ian McDiarmid; the latter two return to the franchise onscreen for the first time since 1983's Return of the Jedi and 2005's Revenge of the Sith, respectively. The Rise of Skywalker is part of a trilogy of films announced after Disney's acquisition of Lucasfilm in October 2012. Colin Trevorrow was announced as the film's director in mid-2015, but left the project by late 2017 due to creative differences. He was replaced by Abrams, who previously directed The Force Awakens. Principal photography began in August 2018 at Pinewood Studios near London and wrapped on February 15, 2019. The film is scheduled for release in the United States on December 20, 2019. Approximately a year after the events of The Last Jedi,[a] the remnants of the Resistance face the First Order once again—while reckoning with the past and their own inner turmoil—altogether bringing the Skywalker saga to a definitive end. Additionally, Dominic Monaghan was cast in an undisclosed role. Brian Herring returns to puppeteer BB-8, and Jimmy Vee and Greg Grunberg reprise their roles as R2-D2 and Temmin "Snap" Wexley, respectively. J. J. Abrams returns to direct. In October 2012, Star Wars creator George Lucas sold his production company Lucasfilm, and with it the Star Wars franchise, to The Walt Disney Company. Disney announced a new trilogy of Star Wars films. In June 2014, it was announced that Rian Johnson, writer and director of The Last Jedi, would write a story treatment for Episode IX. In August 2015, Colin Trevorrow was announced as the director of the film; he was to write the script with frequent collaborator Derek Connolly. In April 2017, Johnson stated that he was not involved in writing the film. In February 2016, Disney chief executive officer Bob Iger confirmed that pre-production on Episode IX had begun. In late April 2017, Disney announced that the film would be released on May 24, 2019. A month later, filming was expected to begin in January 2018, but this was later pushed back to August. In August 2017, it was announced that Jack Thorne would rewrite the script. On September 5, 2017, Lucasfilm stated that Trevorrow had left the production following creative differences. The Hollywood Reporter reported that his working relationship with Kathleen Kennedy had become unmanageable after failing to deliver a satisfactory script, despite writing several drafts. Johnson was rumored as the top choice to replace Trevorrow as director, but stated "it was never in the plan for me to direct Episode IX." 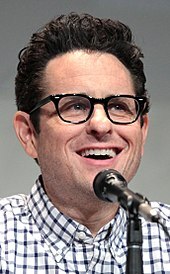 The next day, it was announced that J. J. Abrams, the director of The Force Awakens, would return to direct the film, and that the film's release date would be moved to December 20, 2019. The story team met with George Lucas before writing the new script, which Abrams co-wrote with Chris Terrio. The film is being produced by Abrams' company Bad Robot Productions, Kathleen Kennedy, and Michelle Rejwan. Before filming, Episode IX was initially given the working title Black Diamond, which was then changed to Trixie. The production team has gone to great lengths to keep information about the film secret. The title, The Rise of Skywalker, was announced at the 2019 Star Wars Celebration in Chicago in April 2019. Billy Dee Williams returns to the franchise as Lando Calrissian onscreen for the first time since Return of the Jedi. There's a lot of minutes of footage. I don't mean just outtakes. This is unused, new content that could be woven into the storyline. [...] It's going to look like it was meant to be. Like it was shot yesterday. In July 2018, Keri Russell was in talks to play a part for some "action-heavy fight scenes", along with the long-awaited confirmation that Billy Dee Williams will return as Lando Calrissian. At the end of the month, Russell was confirmed to have been cast, along with the announcement of returning and additional new cast members. In late August, Dominic Monaghan and Matt Smith were reportedly cast in unspecified roles, but Smith later denied his involvement. Jimmy Vee and Greg Grunberg reprise their roles as R2-D2 and Temmin "Snap" Wexley, respectively. Brian Herring returns to puppeteer BB-8. At Star Wars Celebration in April 2019, it was revealed that Ian McDiarmid will return to portray Palpatine. Since Celebration was held after principal photography wrapped, J. J. Abrams was thrilled that news of McDiarmid on the set never leaked. Principal photography began on August 1, 2018, at Pinewood Studios near London, England. Filming was also done in Wadi Rum, Jordan. Oscar Isaac stated that Abrams was allowing more improvised acting than in the previous two films. On January 28, 2019, Anthony Daniels finished filming for his role as C-3PO in the film. Principal photography wrapped on February 15, 2019. Footage from the film was shown at The Walt Disney Company's annual shareholders meeting on March 7, 2019. In July 2013, Kennedy announced at Star Wars Celebration Europe that John Williams would return to score the Star Wars sequel trilogy. On January 10, 2018, it was reported that Williams would return to compose and conduct The Rise of Skywalker. The next month, Williams announced that it would be the last Star Wars film for which he would compose the score. The Rise of Skywalker will be released on December 20, 2019 in the United States. It was originally set to be released on May 24 before being pushed back. Though Abrams stayed silent about details of the film, he expressed his hopes that its viewers would be "satisfied." He headed a panel dedicated to the film on April 12, 2019 during Star Wars Celebration in Chicago, Illinois, where the first trailer revealed the film's title and new images were shown. ^ According to Empire, John Boyega revealed that Episode IX will take place a year after The Last Jedi, albeit in an interview he did not recall. He did not deny the claim in a later response. Boyega previously implied a time gap by stating that he was growing out his hair. ^ Fisher, who died in late 2016, will appear through the use of unreleased footage from The Force Awakens and The Last Jedi. ^ According to McDiarmid, George Lucas told him that Palpatine is definitely dead. ^ a b c d e f g h i j k l m n o Hipes, Patrick (July 27, 2018). "Star Wars: Episode IX Rounds Out Cast, Which Will Include Carrie Fisher In Unreleased Footage". Deadline Hollywood. Retrieved July 27, 2018. ^ "Star Wars 9 is the Last Movie in the Skywalker Saga". screenrant.com. July 27, 2018. Retrieved April 12, 2019. ^ Boucher, Geoff (February 15, 2019). "Star Wars IX: The Last Skywalker Film Wraps Principal Photography". Deadline Hollywood. Retrieved February 15, 2019. ^ Jacobs, Meredith (December 27, 2018). "'Star Wars Episode 9' Rumors: Actor Sort of Confirms 1-Year Time Jump". Inverse. Retrieved December 27, 2018. ^ Pearson, Ben (May 1, 2018). "John Boyega Teases Star Wars Episode 9 Time Jump". /Film. Retrieved December 27, 2018. ^ Colburn, Randall (April 15, 2019). "J.J. Abrams defends "provocative" new Star Wars title". The A.V Club. Retrieved April 15, 2019. ^ McWhertor, Michael. "Star Wars: Episode IX — The Rise of Skywalker's first trailer is here". Polygon. Retrieved April 13, 2019. ^ Holmes, Adam (March 12, 2019). "Oscar Isaac Says Episode IX Will Be A Fulfilling End To The Skywalker Saga". CinemaBlend. Retrieved April 4, 2019. ^ a b c d Hutchinson, Corey (December 18, 2017). "Star Wars: Every Confirmed Cast Member For Episode 9". Screen Rant. Retrieved January 2, 2018. ^ Burton, Bonnie (April 12, 2019). "Meet Star Wars: The Rise of Skywalker character Jannah". CNET. Retrieved April 14, 2019. ^ a b Hipes, Patrick (July 27, 2018). "Keri Russell Is In 'Star Wars: Episode IX' After All". Deadline Hollywood. Retrieved July 29, 2018. ^ Robinson, Joanna (December 14, 2017). "Star Wars: The Last Jedi—What Happened to Luke?". Vanity Fair. New York City: Condé Nast. Retrieved March 7, 2019. ^ a b c Sanda, Clayton (December 28, 2018). "Carrie Fisher to appear in Star Wars Episode IX via unused footage". Good Morning America. Retrieved December 28, 2018. ^ "J.J. Abrams Confirms Emperor Palpatine's Return in Star Wars: The Rise of Skywalker". ComicBook.com. Retrieved April 12, 2019. ^ Hughes, Mark. "J.J. Abrams Confirms Emperor Returns In 'Star Wars: The Rise Of Skywalker'". Forbes. New York City: Forbes Media. Retrieved April 12, 2019. ^ a b Fleming, Mike Jr. (August 24, 2018). "Dominic Monaghan Re-Unites With JJ Abrams In Star Wars: Episode IX". Deadline Hollywood. Los Angeles, California: Penske Media Corporation. Retrieved August 24, 2018. ^ Herring, Brian [@BrianHezza] (August 7, 2018). "1st shooting day for the little guy!" (Tweet) – via Twitter. ^ a b Schmidt, J.K. (July 20, 2018). "Star Wars: Greg Grunberg Teases Episode IX Return". ComicBook.com. Retrieved July 20, 2018. ^ Ford, Rebecca; Siegel, Tatiana (June 20, 2014). "'Star Wars: Episode VIII' Sets Director". The Hollywood Reporter. Retrieved June 20, 2014. ^ a b Rebecca, Ford (August 15, 2015). "Star Wars: Episode IX Sets Jurassic World Director Colin Trevorrow to Helm". The Hollywood Reporter. Retrieved August 16, 2015. ^ Chitwood, Adam (January 12, 2016). "Star Wars: Episode IX Director Colin Trevorrow Promises 'Satisfying' Answer to Rey Theories". Collider. Retrieved April 7, 2017. ^ Johnson, Rian [@rianjohnson] (April 24, 2017). "That's old info, I haven't been involved in writing IX" (Tweet). Archived from the original on April 25, 2017. Retrieved April 25, 2017 – via Twitter. ^ a b Khatchatourian, Maane (April 25, 2017). "Disney Dates Lion King and Frozen 2, Pushes Fifth Indiana Jones Film to 2020". Variety. Archived from the original on April 25, 2017. Retrieved April 25, 2017. ^ Hornbuckle, Jon (May 26, 2017). "Star Wars: Episode IX to delay filming until 2018 following script rewrites after Carrie Fisher's tragic death". The Sun. Retrieved July 4, 2017. ^ Kim, Lawrence (June 3, 2017). "Star Wars: Episode IX to begin filming in January 2018". Click Lancashire. Retrieved July 4, 2017. ^ Kit, Borys (August 1, 2017). "Star Wars: Episode IX Gets a New Writer (Exclusive)". The Hollywood Reporter. Retrieved August 13, 2017. ^ McNary, Dave (September 5, 2017). "Colin Trevorrow Out as Star Wars: Episode IX Director". Variety. Retrieved September 5, 2017. ^ Kit, Borys; Galuppo, Mia (September 5, 2017). "Colin Trevorrow Out as Star Wars: Episode IX Director". The Hollywood Reporter. Retrieved September 12, 2017. ^ Fleming Jr, Mike (September 6, 2017). "Might Rian Johnson Return For Star Wars: Episode IX?". Deadline Hollywood. Retrieved September 5, 2017. ^ Perry, Spencer (September 11, 2017). "Rian Johnson Casts Doubt on Directing Star Wars: Episode IX". ComingSoon.net. Retrieved September 12, 2017. ^ Kroll, Justin (September 12, 2017). "J.J. Abrams to Replace Colin Trevorrow as Director of Star Wars: Episode IX". Variety. Retrieved September 12, 2017. ^ a b Parker, Ryan (September 12, 2017). "J.J. Abrams to Replace Colin Trevorrow as Star Wars: Episode IX Writer and Director". The Hollywood Reporter. Retrieved September 12, 2017. ^ Yehl, Joshua (April 12, 2019). "How George Lucas Helped Finish Star Wars: The Rise of Skywalker". IGN. Retrieved April 14, 2019. ^ a b "J.J. Abrams To Write And Direct Star Wars: Episode IX". StarWars.com. September 12, 2017. Retrieved September 12, 2017. ^ Norkey, Trevor (June 2, 2018). "New Star Wars 9 Working Title Revealed, What Does It Mean?". MovieWeb. Retrieved April 3, 2019. ^ Mollo, Drew (January 23, 2019). "Star Wars: Episode IX Actor Calls Disney's Security 'Extraordinary'". CBR.com. Retrieved April 4, 2019. ^ Whitten, Sarah (April 12, 2019). "Star Wars Episode IX's title is 'The Rise of Skywalker'". CNBC. Retrieved April 12, 2019. ^ "How will Carrie Fisher's death affect the Star Wars franchise and will they recast Princess Leia?". Telegraph. December 28, 2016. Retrieved December 29, 2016. ^ "A Statement Regarding New Rumors". StarWars.com. January 13, 2017. Retrieved January 23, 2017. ^ Desorbough, James (April 7, 2017). "The late Carrie Fisher will appear in final Star Wars movie, says brother Todd Fisher". The New York Daily News. Retrieved April 7, 2017. ^ Parker, Ryan (April 14, 2017). "Carrie Fisher Will Not Appear in Star Wars: Episode IX". The Hollywood Reporter. Retrieved April 15, 2017. ^ Khatchatourian, Maane (April 14, 2017). "Carrie Fisher Won't Appear in Star Wars: Episode IX". Variety. Retrieved April 15, 2017. ^ Alexander, Julia (July 27, 2018). "Carrie Fisher and Mark Hamill will appear in Star Wars: Episode IX". Polygon. Retrieved December 16, 2018. ^ Kroll, Justin (July 6, 2018). "Star Wars: Episode IX Eyes Keri Russell". Variety. Retrieved July 6, 2018. ^ Kit, Borys (July 9, 2018). "'Star Wars': Billy Dee Williams Reprising Role as Lando Calrissian". The Hollywood Reporter. Archived from the original on July 10, 2018. Retrieved July 9, 2018. ^ D'Alessandro, Anthony (August 28, 2018). "Star Wars: Episode IX Taps 'Doctor Who' Alum Matt Smith". Deadline Hollywood. Retrieved August 28, 2018. ^ Howard, Kirsten; Saavedra, John (March 7, 2019). "Star Wars: Episode IX - Matt Smith Isn't in the Movie". Den of Geek. Retrieved March 8, 2019. ^ Vee, Jimmy [@realjimmyvee] (March 18, 2018). "Yes, hopefully I'll be in all of them from now on" (Tweet) – via Twitter. ^ "J.J. Abrams Confirms Emperor Returns In 'Star Wars: The Rise Of Skywalker'". Forbes. Retrieved April 13, 2019. ^ "Photos of Jordan's Wadi Rum set from Star Wars: Episode IX!". makingstarwars.net. October 8, 2018. ^ Kohn, Eric (October 12, 2018). "Oscar Isaac Is Taking the Year Off After Star Wars: Episode IX, So He's Passing on Everything". IndieWire. Retrieved October 12, 2018. ^ "Star Wars: Anthony Daniels Wraps Work as C-3PO on Episode IX". The Hollywood Reporter. ^ Hall, Jacob (February 15, 2019). "'Star Wars: Episode 9' Has Wrapped Filming – See a New Image From the Set". Film. Retrieved February 15, 2019. ^ Cavanaugh, Patrick (March 7, 2019). "Star Wars: Episode IX Footage Shown at Disney Shareholders Meeting". ComicBook.com. Retrieved March 7, 2019. ^ Hewitt, Chris (July 27, 2013). "John Williams To Score Star Wars Episodes VII–IX". Empire. Retrieved April 12, 2019. ^ Weiss, Josh (January 10, 2018). "John Williams Says He's Scoring Star Wars: Episode IX For J.J. Abrams". Syfy Wire. Retrieved January 11, 2018. ^ Jones, Jordan (January 11, 2018). "John Williams will be returning for Star Wars: Episode IX". Flickering Myth. Retrieved January 11, 2018. ^ Osborn, Alex (February 22, 2019). "Star Wars: J.J. Abrams on Whether Episode 9 Was Affected by The Last Jedi Response". IGN. Retrieved February 22, 2019. ^ Cooper, Gael Fashinbauer (March 13, 2019). "Star Wars Episode 9 trailer and title could be hitting April 12". CNET. Retrieved April 4, 2019. Wikimedia Commons has media related to Star Wars: The Rise of Skywalker.